Former Manchester United and Leads United defender, Rio Ferdinand, announced his retirement from football on Satutday. The ex-England international was released by relegated Queens Park Rangers (QPR) after an uneventful season at Loftus Road which saw him make just 12 appearances. The 36-year-old, who lost his wife Rebecca Ellison in 1 May after a battle with breast cancer, was capped 81 times by England and graced three Fifa World Cup tournaments. Ferdinand is fondly remembered for his time at Man United, where he won six Premier League titles and the UEFA Champions League during a 12-season spell at Old Trafford. 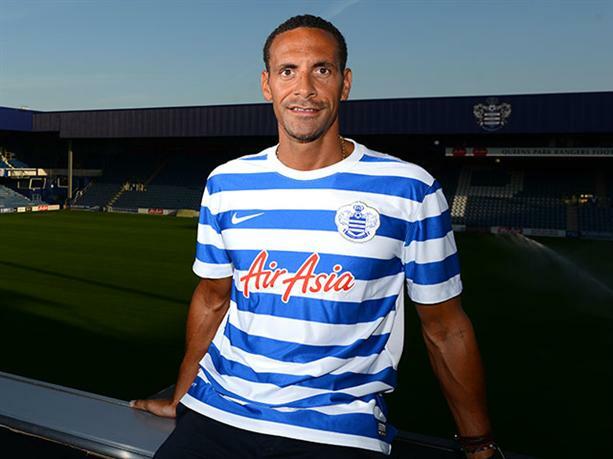 Rio Ferdinand Became QPR’s First Signing of Last Summer. He began his career at West Ham before joining Leeds for £18m. His defensive demeanour and astute ball sense attracted United’s interest, eventually joining the then-Sir Alex Ferguson side for a then-club record fee for a defender of £30m in 2002. He was banned for eight months in September 2003 after missing dope test and also received a three-game suspension over his derogatory Twitter remark last season. He left United at the end of last season and joined QPR in July 2014. Chelsea Beat Liverpool as Spurs Shoot Three Past Stoke. Flying Eagles Need to Redeem Their Image in a Tough Brazil Test on Tuesday. Messi Not Certain of Return Date but Says Recovery has been great.